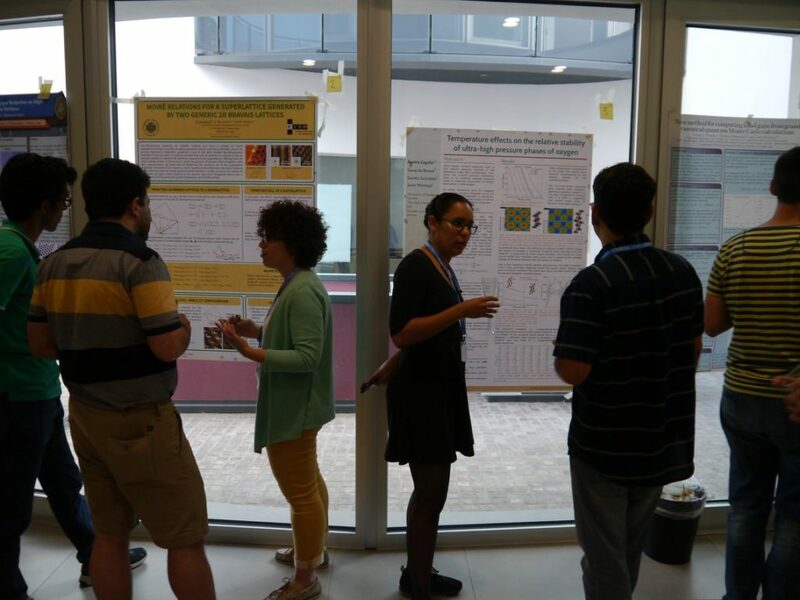 Discussion sessions, as well as a poster session and an open-mic session are scheduled to foster interaction between the participants, to discuss and answer questions. The following invited speakers will illustrate the use workflows in their research using a recent example, highlighting both the challenges encountered and possible solutions. The tutorial is organised by Leopold Talirz (EPFL, CH), Sebastiaan Huber (EPFL, CH), Espen Flage-Larsen (SINTEF, NO), Alberto García (ICMAB, ES) and Andrea Ferretti (CNR, IT) who bring expertise in a diverse set of ab initio codes and their applications in different work environments (universities, research institutes and companies). For generic information concerning the tutorial, contact aiida.workflows2019@gmail.com . Please note that this programme is preliminary and subject to change. 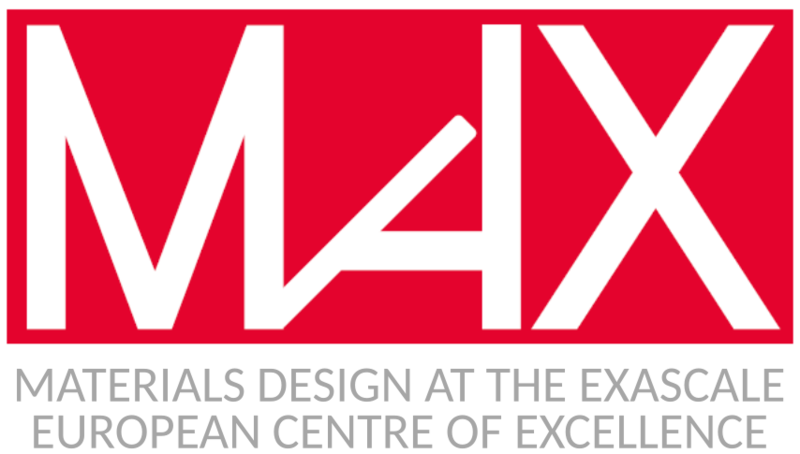 In the following, morning sessions are 9h-13h, and afternoon sessions 14h30-18h30, each with one coffee break. Registration will take place in the 2nd floor of the MED building. For general directions on how to arrive to EPFL, see here. The tutorial will be offered free of charge, with roughly 40 participants. By default, participants are expected to cover their costs for travel and lodging, but we aim to reimburse the cost of lodging for participants who require financial assistance (which they need to motivate during registration). An AiiDA plugin migration workshop will be held at EPFL Lausanne, Switzerland, aiming at collecting about 20 participants. The workshop will start on Monday 25th March at 2PM and end on Friday 29th March at 1PM. what this workshop is for-existing “databases” will be fully compatible and be automatically migrated when users upgrade to AiiDA 1.0). Report on AiiDA tutorial: 24-25 January 2017 at ICTP in Trieste, Italy.  admin	 January 27, 2017	 Comments Off on Report on AiiDA tutorial: 24-25 January 2017 at ICTP in Trieste, Italy. The end of January of 2017 saw the eighth hands-on tutorial for AiiDA within the “Advanced Workshop on High-Performance & High-Throughput Materials Simulations using Quantum ESPRESSO” organised at and by ICTP in Trieste. 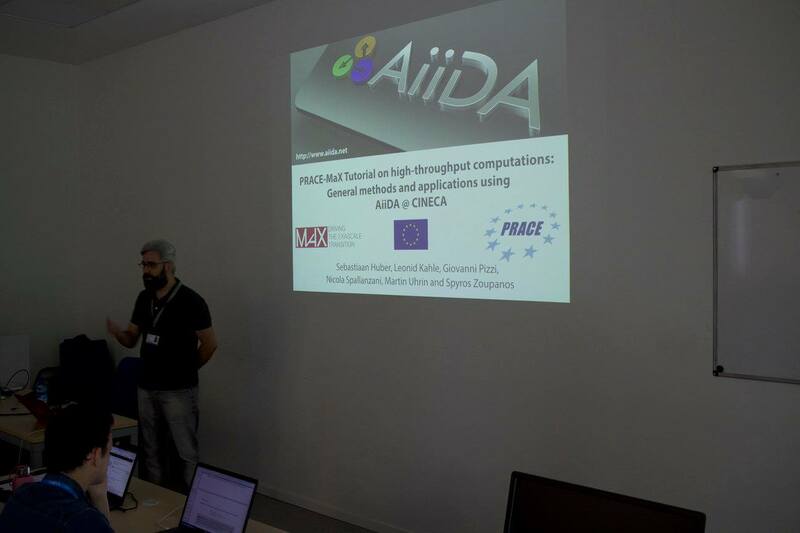 The tutorial was kicked off by an introductory lecture by Giovanni Pizzi (EPFL), explaining the philosophy and architecture behind AiiDA, and how the ADES model facilitates and simplifies performing and sharing calculations, under the umbrella of complete data provenance. After the scene was set, the approximately 75 participants went to their workstations to start with the first of the hands-on sessions. A completely configured virtual machine was provided for each individual participant, to which they only had to login and they were on their way. The first session served to familiarize the users with Verdi, a command line interface which acts as the user’s tool to interact with AiiDA. 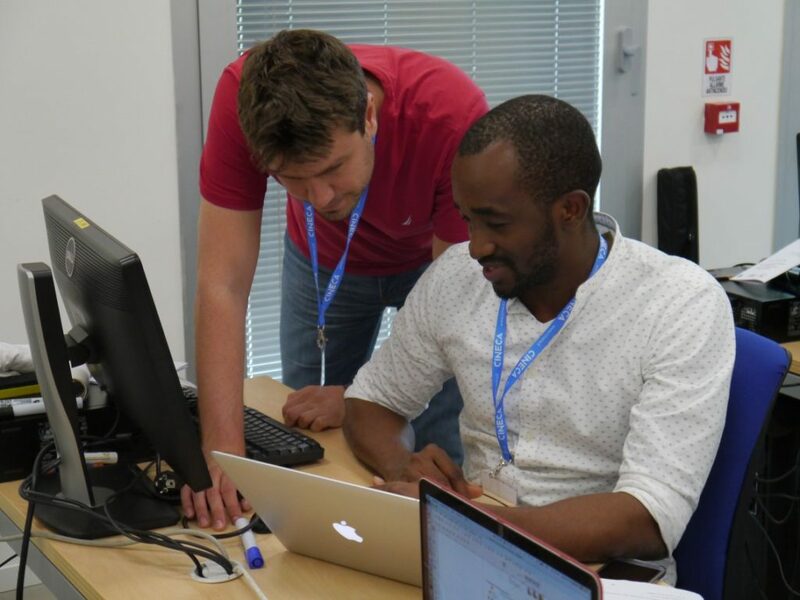 With the tools in hand to put AiiDA to good use, the participants learned by example how a Quantum Espresso calculation can be easily launched as AiiDA takes care of a lot of the repetitive work behind the scenes. The virtual environment in which the participants were working came with a database filled with pre-computed calculations, which allowed the aptitude of AiiDA in working with big data sets to be displayed effortlessly. 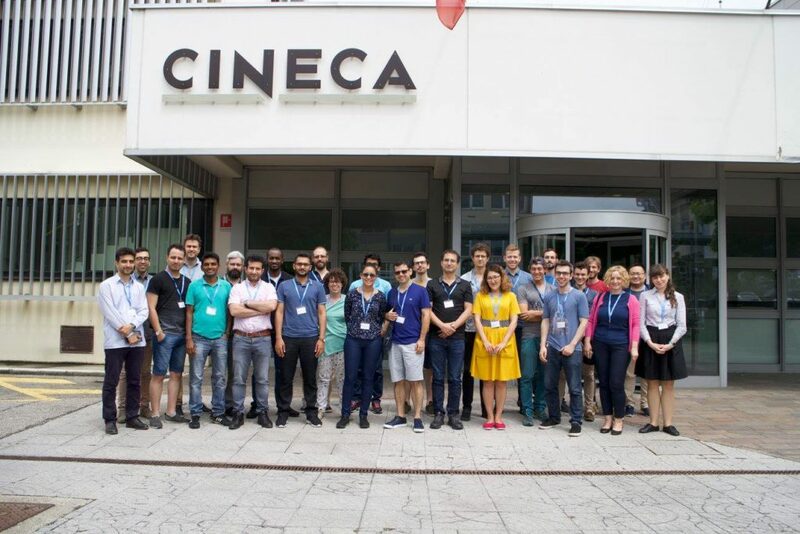 The QueryBuilder, the tool provided by AiiDA to efficiently query a user’s collection of calculations, was introduced and a step-by-step tutorial showed the participants how it could be used to efficiently analyze a large collection of calculations on perovskites. The final session detailed how the users could easily create such a big collection of calculations themselves, in a high-throughput manner, through the concept of Workflows. Throughout the tutorial, five members of the AiiDA team were present to answer any questions of the participants and give introductory talks at the beginning of a new hands-on session. After the hands-on sessions, a good portion of the participants gave their feedback on the quality of the tutorial and the impact on their skills in using AiiDA. The results are very promising while at the same time they provide the AiiDA team with valuable information on how to improve both the tutorial and AiiDA itself. The AiiDA team thanks the organisers of the event for making this tutorial possible and all the participants for their enthusiasm. Until the next AiiDA event! 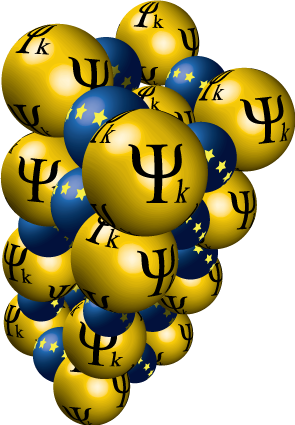 We’ve published the report on the psi-k website: you can read the full text there! Last week (5-9 Dec 2016) we had a coding week for AiiDA, to which 15 people participated (roughly half of them core developers from the AiiDA, and the other half were developers who were interested in contributing to the platform). Redesign of the AiiDA documentation, with a more clear structure, removal of duplicates, a new and more clear installation section. Simplified procedure to install AiiDA. Removal of the DbPath (transitive closure) table and triggers, and replacement with a dynamically created query (using either PostgreSQL recursive queries or PostgreSQL functions). The performance of these queries has been optimised. Beside programming, most participants have taken place to an outdoor hiking activity on Wednesday morning to Berneuse, close to Tour d’Aï, that was a great team building opportunity. Participants have also enjoyed after-dinner sessions with board and card games. The outcome of the feedback, summarised below, has been very positive, both in terms of participation, organisation, and improvement to the code. The results indicate also that similar events should be organised again in the future, with a frequency of about twice a year. Some photos of the event can be found on our Facebook page.